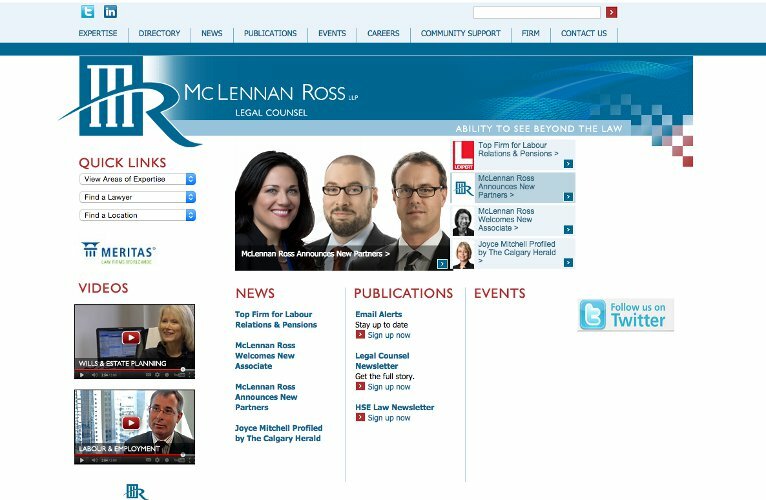 McLennan Ross LLP is a law firm based in Edmonton with offices in Calgary and Yellowknife and almost 100 lawyers. 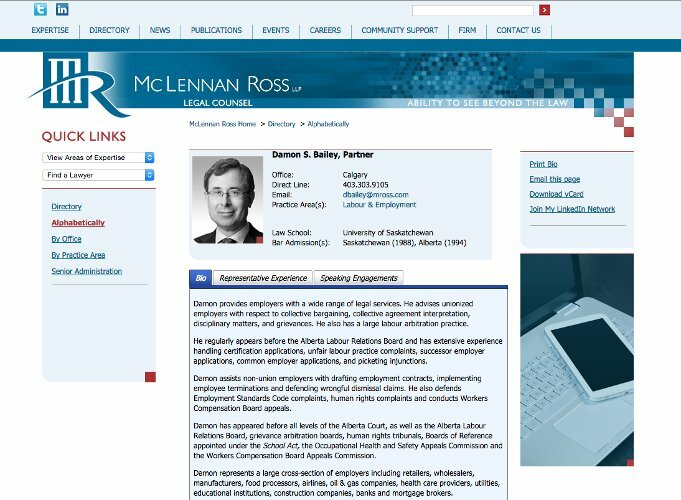 Netfocus had taken over the support contract for Mross.com (the firm website) and we were later given a redesign contract for the website. The project was implemented in association with BluBrown Communications to redesign and rebuild mross.com. The project was completed successfully and we are currently in the process of upgrading their website again to a responsive, multi-device compatible site.